Former parliamentarian Duminda Silva and five others received death sentences in connection with the killing of Bharatha Lakshman Premachandra. The case was taken up before a trial-at-bar. The defendants were charged with unlawful assembly and attempted murder. The prison sentence was handed down on former parliamentarian Duminda Silva, Anura Thushara Demel, Chandana Jagath Kumara, Chaminda Ravi-Jayanath alias ‘Dematagoda Chaminda’, Lanka Rasanjana, W.A. 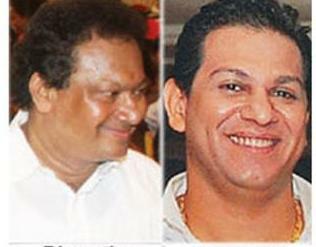 Malaka Sameera, Vidanagamage Amila, Sarath Bandara, Suranga Premalal, Saman-Kumara Abeywickrema, Rohana Marasinghe and Nagoda Liyanarachchi. It was revealed during the trial that one of the defendants in the case, Janaka Bandara Galegoda was reported missing. This case was taken up for trial on October 12, 2015 before High Court judges Shiran Gooneratne, Padmini Ranawaka Goonetilake and MCGS Morais. Seventeen indictments were filed against the defendants in connection with unlawful assembly and attempted murder of Bharatha Lakshman Premachandra and four others on October 8 in the Walpola junction, Mulleriyawa.